This post will guide you the steps on how to find default gateway in Windows 7, Windows Vista and Windows XP. 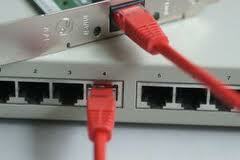 A default gateway is the device that passes traffic from the local subnet to devices on other subnets. Default gateway is a entrance to another subnet. You can get the default gateway information using ipconfig command line utility. ipconfig command is available on all versions of Microsoft Windows starting with Windows NT. 1. Click Start. In the search box, type cmd , and then press Enter. 2. At the command prompt, enter ipconfig. This will display your network information, including your default gateway. 1. Start menu, click Run… . In the “Open:” field, type cmd , and then click OK.